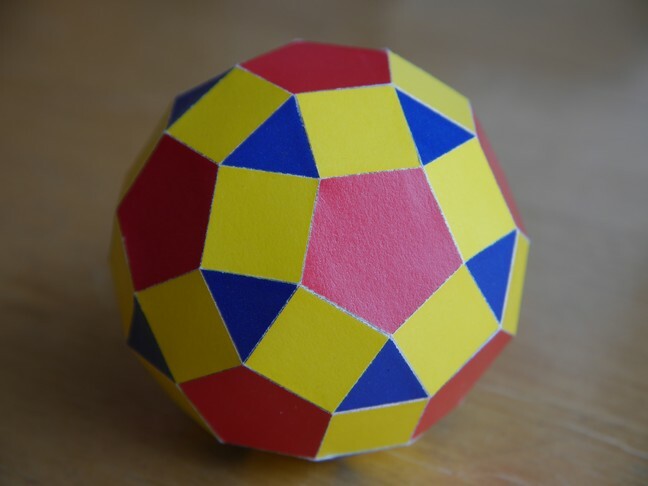 This model was made from a single connected net, printed on a single piece of A4 paper, with a colour laser printer. 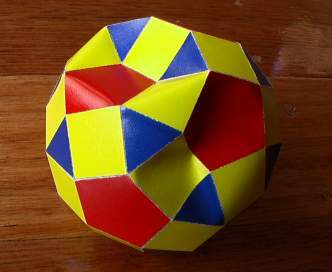 Alas, this model became a casualty of the MAV (Mathematics Association of Victoria) conference when someone thought it looked too solid to be made from paper. (See some photos from the MAV conference here).